This aura photograph was taken a couple years after my spiritual awakening and after I had quit work to devote my entire attention to my spiritual practices. During this time, I was meditating up to 10 hours daily, listening to my own mix of chakra tones and celestial sounds 24 hours a day, had 10 past-life regression sessions and was experimenting with a variety of techniques to enhance my conscious and meditative states. It was also a time when I would awake at 3am every morning with 4 to 5 pages of spiritual insights to write down before I dozed off to sleep again. This material and the writing I did during may days became the rough draft for my first spiritual book that I completed in June 1994, but which is still to be edited and published. 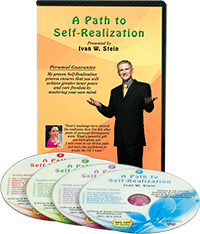 This book and the practical application of it's content became the foundation for my Spiritual Teachings and my DVD entitled "A Path To Self-Realization". 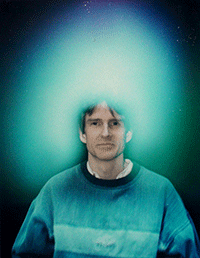 Please note: This aura photo was influenced by a large quartz crystal that I wore around my neck at the time. You can see a glow from the crystal over my chest. 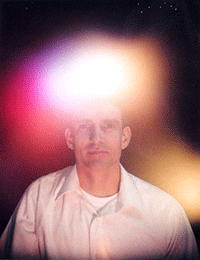 This was my first aura photograph and I was unaware, yet curious, if the crystal would impact the aura photo. The answer was obviously YES! 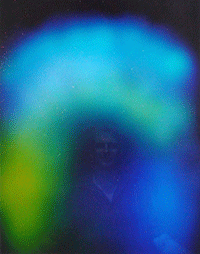 This aura photograph was taken about 1 year after my first spiritual quest to the Giza Pyramids, Egypt in March of 1995. I was unaware how this trip had altered my life and conscious for years to come, however, the changes were certainly influenced by spending the night on the top of the Great Pyramid during the Spring Equinox, meditating in the chamber located 200 feet below the Great Pyramid and most importantly, the experience I had while meditating in the burial chamber of Pharaoh Khufu's mother, Queen Hetepheres I. The experience, which I will describe in more detail on my Spiritual Quests page, became one of my top 5 spiritual experiences to this date. At the time of this photograph, I had been contemplating whether to move to Tibet and join a Buddhist monastery. I chose to leave the decision up to the universe and was given the answer through a series of meditative experiences in which I was shown that I had to return to society. I accepting this direction, however, I could not imagine how I was going to live and work in society after spending nearly 4 years on an exclusive spiritual quest. The answer to this question became plainly obvious in the years that followed. 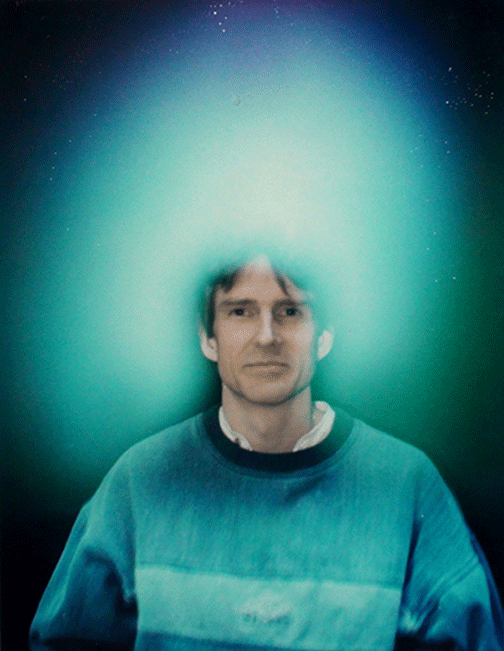 This aura photograph was taken after 12 years of applying my spiritual practices while working back in society and a couple months after selling my computer business. As a personal reward and vacation, I went on my second spiritual quest and spent the next 4 months visiting various locations in Australia. This photo was taken during one of my several visits to Byron Bay. This trip was initially planned to clear my head of the last 12 years of business dealings and to begin the process of setting back into a lifestyle that was more spiritually inclined. During this trip, I spent half of my time in the isolation Alice Springs where I participated in an Outback Adventure Tour and visited Ayers Rock and many other national sites. What became most significant on this journey was my participation in a spiritual event called "The Path of Love" that was a week long spiritual intensive held outside of Sydney. It was during this event that I had a major realization about my spiritual work that will be describe in more detail on my Spiritual Quests page.